Lengthy production times and limited design flexibility of conventional prototyping with machining, casting, fine blanking etc. no longer meets the rapidly growing market needs. By efficient prototype design with metal 3D printing, development cycles and time-to-market are reduced significantly to lead times of only weeks. But how do you get started when you want to get your great idea to market quickly? I’ve talked with my colleague Kevin Schmidt, a member of GKN Additive’s global sales team. Kevin is responsible for the AM automotive growth within the North American region. He is the direct interface to all new customers looking for rapid prototypes, and he shared some key learnings on how to get great results fast. Where does your automotive know-how come from? I’m a hobby auto racer. This is a very expensive hobby, so you must learn to do things yourself. I spend a lot of time in my garage twisting nuts and bolts to get my car ready for the next race. I’m familiar with every part of the car. I can speak about gear boxes as well as interior panels and suspension parts. I’ve disassembled every component numerous times. 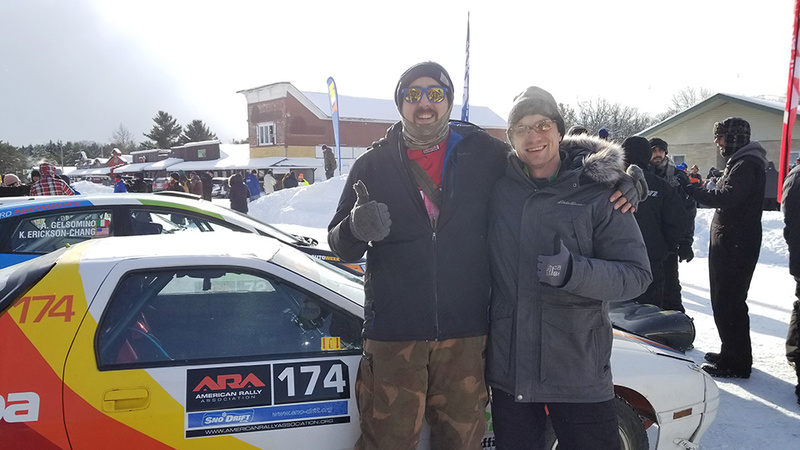 Kevin Schmidt (left) is a hobby auto racer and familiar wither every part of the car. He has disassembled every component of his own racing car numerous times. What motivates you most about your work at GKN Additive? What do you draw your motivation from? The motivation for me is the technology. I wasn’t alive when casting was invented. I wasn’t alive when stamping was industrialized. People back then couldn’t imagine the impact the development of these manufacturing technologies would have. Given the boundaries you have in additive manufacturing, I’m excited to see how it will shape the next 100 years of manufacturing. What are the greatest challenges your customers have when it comes to prototyping? The biggest challenge is cost. 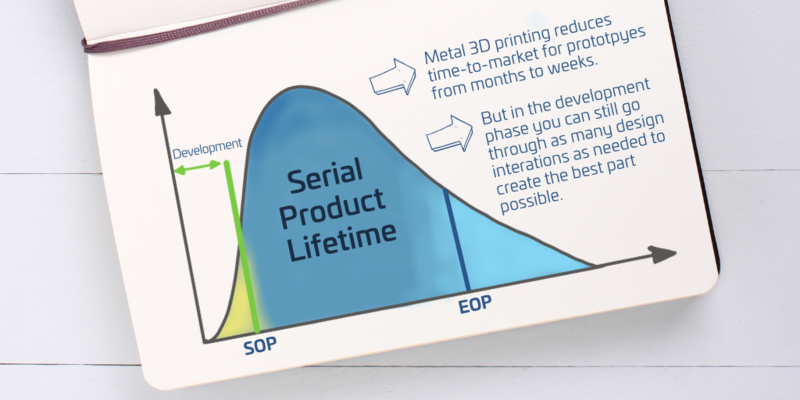 Everyone is very cost-conscious, but Additive Manufacturing is not an inexpensive process. So, the hardest part is educating the customer on selecting the right part. For example: if a part requires a lot of post processing, you won’t benefit from a quick time-to-market because you’re stuck in large machining steps. The lack of AM knowledge is also a challenge. It is still a fairly new technology and many people only hear the buzzwords. They think anything is printable, but that is not necessarily true. Learning the customer’s knowledge level and helping them accordingly is essential. How can additive manufacturing help to solve the challenges? With speed. You can go through many design iterations before proceeding to the production tool. This allows the customers in the development phase to create the best part they can. Many tools change when they get close to production because of errors or design flaws. You can notice those much earlier in the design phase and make changes that enable a smoother launch in a given serial production. From your experience - which applications can take most advantage of prototyping with metal 3D printing and why? The best application I see is the concept validation. You want to be able to create parts that can fit and function. It might not be the final material or the design you go to production with and the functional samples might not last to the harsh enduring testing, but they will help you to move forward. Being able to proof a concept and having functional prototypes gives you the ability to be flexible with the design before completely implementing it. 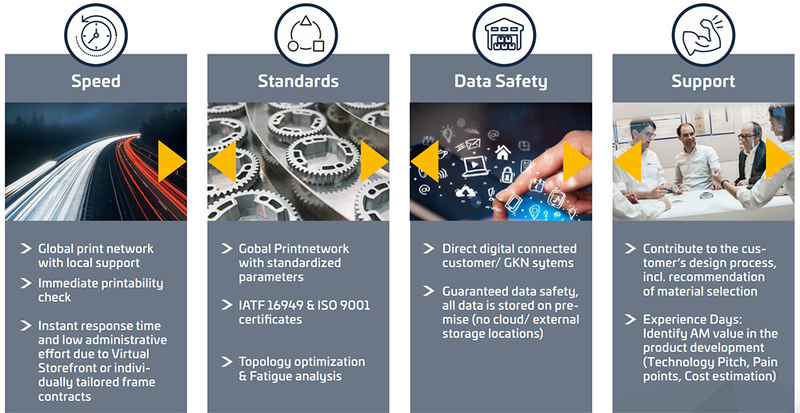 What is GKN Additive’s unique strength in prototyping with metal 3D printing? This is clearly our value chain. GKN Additive builds on GKN Powder Metallurgy’s dual expertise in powder production and metal processing. We have been doing metals for over 250 years. Conventional press and compaction, Metal Injection Moulding, Powder Forging, etc. Additive Manufacturing is just another powdered metal process in our portfolio. A company like ours, so vertically integrated, achieves very high process control that starts with the raw material production and ends with post-processing. When you’re working with a new technology, a strong understanding of the fundamentals allows you to work on enhancing this new technology by overcoming learning obstacles quickly. How do we collaborate with our customers? It’s a very brief back and forth between the customer and myself. Generally, the customer approaches us and has a specific component for prototyping in mind. They give us some background on the application and usage. I will evaluate the information and speak with our engineering team, so they can start preparing the build information for the printer. And then maybe there is another step in between where our engineering, the customer and me are having a quick touchpoint until we kick off the prototype. We like small group discussions; that’s key. You only need two or three people to get things done. What advice do you have for decisions-makers and forward-thinkers who want to kick-start and accelerate their business with Additive Manufacturing? Our aim is to make the ordering of metal AM prototypes as easy as possible for our customers. Our online platform InstAMetal is available 24/7 and allows you to get an instant quoting for your prototype right after you’ve uploaded your CAD file. As a next step we should have a live-workshop together, so we can go through a couple applications and CAD files in more detail. Together we want to discuss what may or may not be beneficial, what the end goal is and what the milestones should look like. This is how we find applications that make sense.